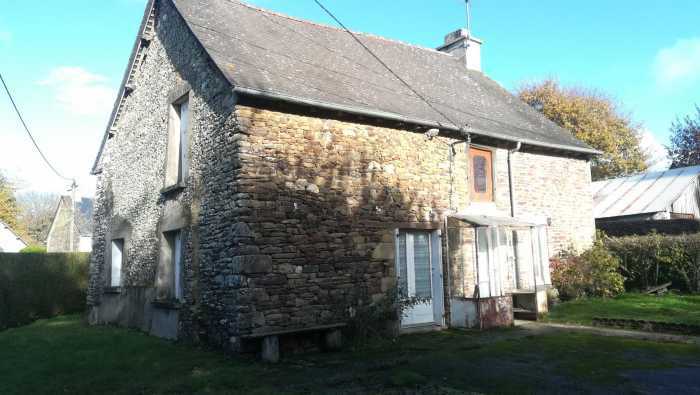 This pretty detached cottage is crying out to be brought back to life. Located in a pretty hamlet this cottage which is deceptively spacious currently offers an open plan lounge/ kitchen, utility room, bedroom and shower room on the ground floor and three bedrooms on the upper floor. Some renovations works had been started and will require finishing, together with putting your own stamp on the other areas of the house it has the potential to be quite beautiful. To the front of the property you have off road parking and opposite you have a garden area. Close to the town of Mauron this property is within very easy driving distance of town where you will find a host of amenities. Also close by is the large town of Ploërmel and Lac au Duc. The North coast can be reached in around 40 minutes and the south coast in approximately 1 hour 20 minutes. This would make a fantastic project, the house offers so much potential in this beautiful area of Brittany. Airport. Beach, Doctor, Golf. Hospital / clinic, Lake. Cinema. Sea. Shops, Supermarket. Downtown, University.